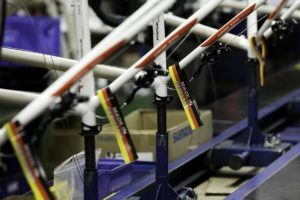 With higher sales and another increase in the average retail price, 2006 will be a year to remember for Dutch bicycle dealers. A rise of 7% in sales and an 11% expansion in turnover are dream figures for any market in any country. A total of 1,323,000 new bikes were bought in The Netherlands last year, with an average value 582. The Dutch are well known for their love of bikes and 2006 figures show they still depend on bicycles for transportation. Despite growing income and the increasing use of cars this densely populated country still boasts more useable bicycles than inhabitants. Especially in the crowded cities the bike is often used as a means of transportation, setting an example for other big cities around the world. This intensive use is reflected in the annual sales figures. In the Netherlands, the Dutch city bike had a 2006 market share of 59% (!) in unit sales, a rise of 5% compared to 2005. 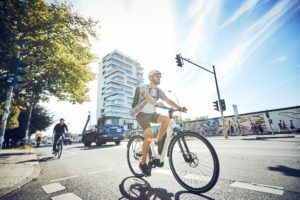 Traditional, yet fitted with the latest equipment, the Dutch city bike is enjoying a period of revival while the market share of the hybrid bike has fallen. At its peak six years ago, the hybrid bike took almost 29% of the overall market. The overall average price spend on a bicycle is € 582 and has been more or less the same for the past three years. Despite the lack of price increases, the amount spent on a bike is still regarded as extremely high in comparison to the world market. The average bicycle price in the IBD channel climbed to € 678 in 2006; over three quarters of the new bikes in The Netherlands are sold by IBDs. This difference in price can be explained by the fact that the Dutch consumer still relies on the specialist dealer for service, quality and good advice when he or she wants a new bike. Some 78% of bikes are still sold through the IBD channel. This percentage has remained the same over the past three years and can be regarded as unique in the world. But new players are trying to enter this market and gain market share. Online stores are becoming increasingly successful. The number of shops on the internet has risen rapidly but their market share remains unclear. As with many other products, the Internet is used for product orientation and price comparison of bicycle products. In other segments there are also remarkable shifts. MTB sales are in free fall, dropping from 5% in 2005 to only 4% last year. Only a small group of users are interested in the high-end sports MTB. The low- to mid-range segment of this market seems to have vanished. On the other hand, the Dutch have discovered the advantages of the electric bike. The windy climate of the country gives the electric bike a big selling point compared to human powered vehicles. Although unit sales of electric bikes are not very high, in percentage terms the total market almost doubled in 2006. 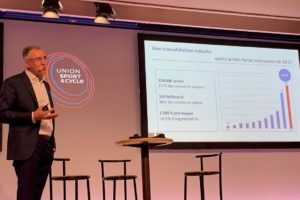 At the moment the electric bike has a market share of 3% in units. However, analyst claim that the pedelec or electric bike share in terms of value or total turnover stands at 11% in 2006. And it is expected that this number will rise quickly in the near future and with a population that is ageing, there is lots of scope for growth in the future. All signals indicate that more electric bicycles than MTBs will be sold in the Netherlands this year. New suppliers besides Sparta will not only bring more variety to the market, but also introduce new, lower priced segments. 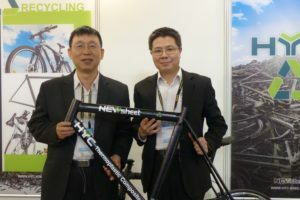 This is expected to further accelerate the sales growth of the electric bikes. Finally, the juvenile bike segment showed a slight decrease from 17% to 15% market share last year. 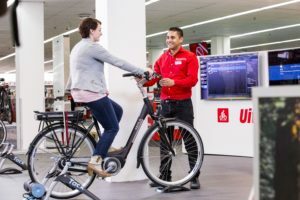 Although the average price of the bike sold last year in the Netherlands has remained more or less the same, the latest sales figures show a decrease in the price the consumer is willing to pay. The money maker for the IBDs in the past was the € 700 – € 899 price range, which went down from 25% to 20% in 2006. That’s the same level as in 2002. The € 500 – € 699 price segment was the only one that took advantage of this shift. This range went up from 13% to 19%, nearly the same as in 2002. That is a sales increase of 90,000 units. All other price ranges kept more or less the same figures. The only conclusion is that bikes have become too expensive for many consumers and they have decided to step back and spend less money in the bicycle shop. After years of declining sales, the figures for mopeds are positive again in the Netherlands. 2005 already showed a recovery in the market and in 2006 the market went up by more than 19% to 48,776 units (25 km/u and 45 km/u models). Not surprisingly Peugeot has lost its leading position in the Netherlands to Piaggio. This new market leader has a market share of 18.4%. Peugeot now has a market share of 18%. Piaggio has shown a steady growth since 2004. In that year the Italians had a market share of only 12.5% compared to Peugeot’s 24.4%. Even Tomos was not able to take advantage of the increasing demand and saw its market share retreating from 24.4% to 17.4%. Last year all owners of 45-KM mopeds in the Netherlands had to visit their shop to obtain a licence. This well-organized operation caused a lot of traffic in the shops. The aim was to link all the owners to their specific mopeds. With this information the Dutch authorities expect a decrease in moped theft. The Dutch motorcycle market has fluctuated between 16,000 to 17,000 units for some years. Sales depend heavily on the economic situation, the weather and trends in motorcycle sports. Despite good weather and a growing economy in 2006, sales figures dropped substantially. On average, sales went down by 12%, from 16,814 to 14,790 units, with large differences between several brands.